TaxFormExpress by ComplyRight is an all-in-one solution perfect for small businesses with only a few employees. The sets come in quantities of 10 or 25 forms and envelopes. And the sets are available with or without software. The IRS requires businesses to report payments made to non-employees, such as independent contractors and vendors, with the various1099 Forms. TaxFormExpress by ComplyRight is a comprehensive, attorney-approved solution that provides everything small businesses need to print, mail and file 1099 forms. 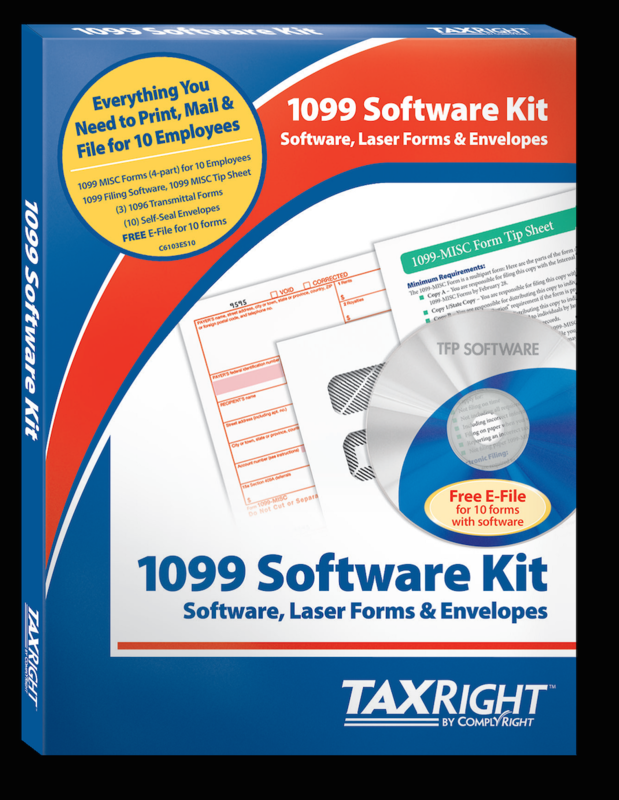 Perfect for businesses with only a few contractors, this 1099 Software Kit combines 25 (4-part) laser forms, 25 self-seal envelopes and TPF 20.14 software for easier, more organized filing. The software includes all the templates necessary for correctly completing tax forms for an unlimited number of contractors and filers. For added convenience, the software works with official IRS laser forms, is compatible with leading software titles and includes FREE e-file for first 10 documents and $1.00 each thereafter for each e-file. The IRS requires employers to report wages, tips and other compensation paid to employees, as well as federal and state tax deductions, with the Form W-2. TFP.2014 by ComplyRight is a comprehensive, attorney-approved solution that provides everything small businesses need to print, mail and file W-2 forms. 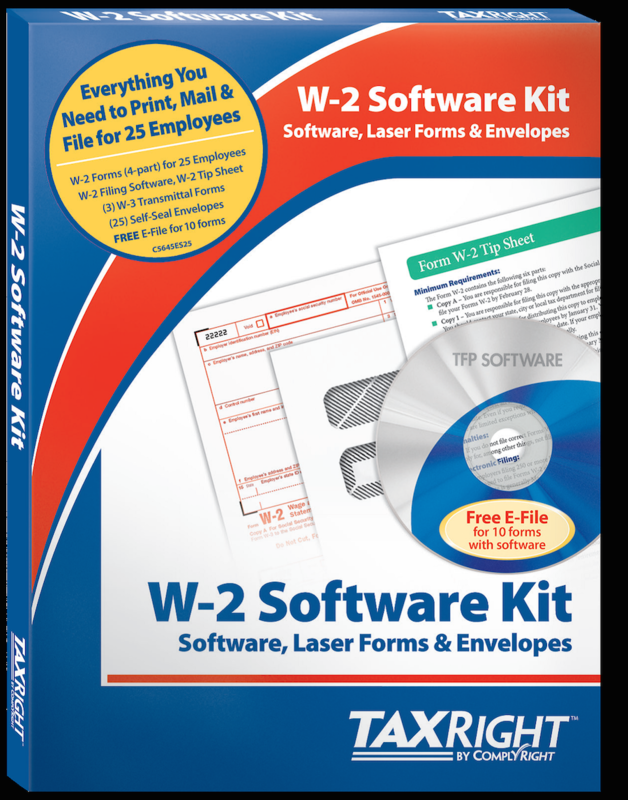 Perfect for businesses with only a few employees, this W-2 Tax Kit combines 25 (6-part) laser forms and 25 self-seal envelopes for easier, more organized filing.